This is a magnificent ‘statement’ wine wrought from the most challenging of natural circumstances. 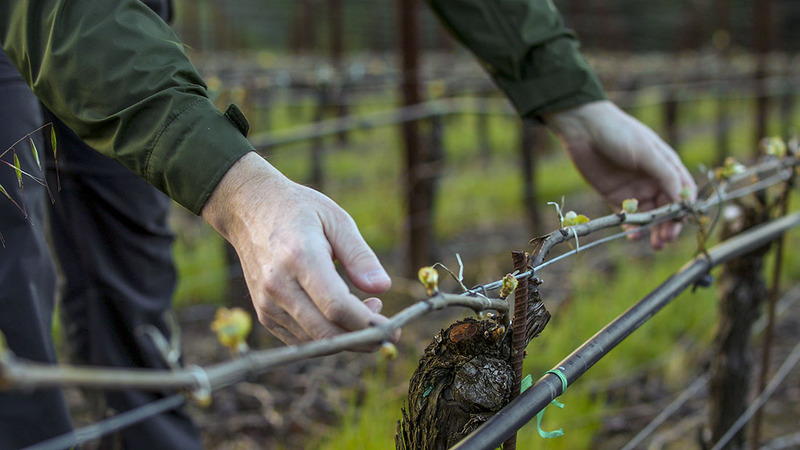 With 2011’s series of early fall rains, there was widespread botrytis present in our late ripening coastal district. Yet, with precise and highly selective cluster by cluster harvesting, then painstaking sorting in the cellar, we have produced a wine that can live up to the great reputation of the Isobel label. This wine has tremendous energy and verve, both aromatically and on the palate. The way the flavors cascade and the subtle richness builds, is really unique to this vineyard and this wine. It’s a challenging wine, possibly not for the acid-averse, but one that is dramatic and incredibly intense with an underlying depth and concentration that comes from old vines in a low yielding year. If you prefer a little more overt richness, go for chloe, but the level of savory complexity and tense structure offered here is really something special. The production level is less than half that of a normal vintage…great things come in small doses! Brilliant pale straw color. Aromatically taut and sinewy. Grapefruit, lime, flint and fresh herbs open to apricot, honey and beeswax. Very flinty, stony palate, initially tight and taut. White peach, lemon curd and honey emerge then an oatmeal note. Definite savory elements – sage, fennel and hay, linear, clean and focused. Mouthwatering saline, almost briny finish. Fresh appley acidity. Serve no cooler than 55 degrees. Drink between 2014 and 2018.